The Historic Preservation and Community Planning Program at the College of Charleston School of the Arts will present the Albert Simons Medal of Excellence to His Royal Highness Prince Charles, The Prince of Wales for outstanding work in traditional architecture, urban planning and historic preservation. The event will take place on Wed., Sept. 11, 2013, at 7:00 p.m., in the College of Charleston Sottile Theatre, 44 George St. A reception will follow. Admission is free and open to the public. Also, The Prince conceptualized a new town, Poundsbury, which included all economic levels amongst its residents and exemplified a civic ideal for a town that utilizes traditional town planning and traditional architecture in Dorset, England. Richard John is a Professor of Architectural Design, History and Theory at the University of Miami. He was previously the Director of the Prince of Wales School both in England and America in the 1990s. John is educated broadly in all aspects of Traditional Architecture and Urban Design. He studied at Cambridge University and Oxford University as well as Columbia University and the Warburg Institute at the University of London. He is a frequent lecturer and juror at architecture programs across the country and abroad. John has published a number of books and articles about architecture and urban design and has been the editor of “The Classicist,” the prestigious journal of the Institute for Classical Architecture and Art. 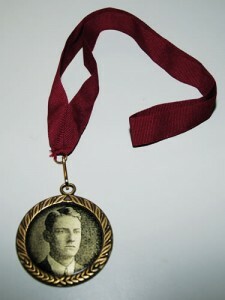 The Albert Simons Medal of Excellence was established in honor of the twentieth anniversary of the College’s School of the Arts. Albert Simons pioneered the teaching of art at the College in 1924, with a longstanding course in art history. Years later, a general department of fine arts was established and grew to become the School of the Arts, which is on the cusp of its twenty-fifth anniversary and currently offers studies in seven major areas. The Simons Medal honors individuals who have excelled in one or more of the areas in which Simons excelled, including civic design, architectural design, historic preservation and urban planning. Prior Simons Medal recipients include Mayor Joseph P. Riley, John D. Milner, Andres Duany, Elizabeth Plater-Zyberk, and Allan Greenberg.